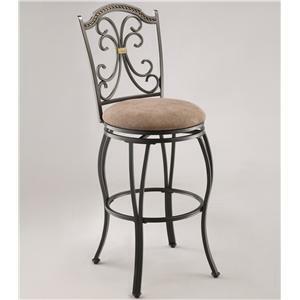 Featuring a beautiful interlocking circle design on the seat back and medium brown finish, this counter height chair has a warm, elegant look. The upholstered seat and back promise comfort while you dine. 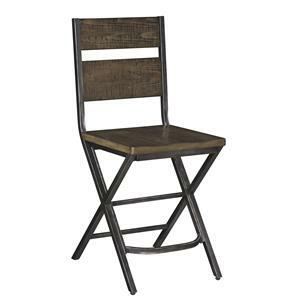 The Cally Counter Height Chair with Interlocking Back Design by Crown Mark at Casa Leaders Inc. in the Wilmington, Long Beach, Torrance, Lakewood, Los Angeles area. Product availability may vary. Contact us for the most current availability on this product. 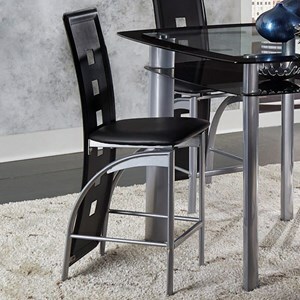 Browse other items in the Cally collection from Casa Leaders Inc. in the Wilmington, Long Beach, Torrance, Lakewood, Los Angeles area.